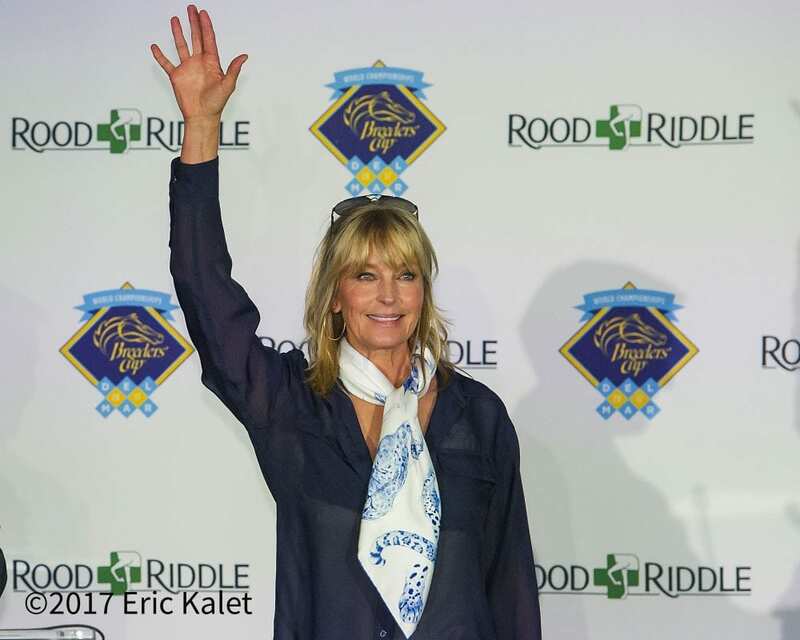 Bo Derek, the film and television actress, longtime horsewoman and advocate for multiple worthy causes, has agreed to join the board of the Del Mar Thoroughbred Club, it has been announced. Derek, a staunch horse welfare proponent who used her role as a commissioner of the California Horse Racing Board between 2008 and 2015 to enhance safety and animal rights in the Thoroughbred industry, will attend her first DMTC board meeting the day after Del Mar opens its 79th summer season on Wednesday, July 18. Derek will join Harper and seven other members on the DMTC board, which is chaired by business executive and horse owner David Batchelder. The Del Mar Thoroughbred Club has overseen racing at the scenic seaside track just north of San Diego since 1970. During her years on the California Horse Racing Board, she was instrumental in several horse-friendly changes and programs, key among them adjustments to jockey riding crops and their use. In 2009 she worked with the riders and Del Mar Thoroughbred Club to introduce softer, padded riding crops at the track that took the sting out of their use. In 2014 she headed a CHRB committee that established a rule to limit the number of times the riding crop could be used during a race. In both cases, the changes have become part of standard procedure for jockeys in the state. Besides her work in the Thoroughbred industry, Derek has carved out a special niche for the nation's veterans and has earned awards and honors from the Veteran's Administration for her work with disabled veterans. The Special Forces Association threw her a special salute by naming her an honorary Green Beret. Additionally, she served as a Trustee of The John F. Kennedy Center for the Performing Arts, as Special Envoy of the Secretary of State for Wildlife Trafficking and is currently a board member of WildAid, a group that works to reduce the use of wildlife products. Further, she also is involved with several animal rights organizations. Del Mar's 36-day summer season runs from July 18 to September 3. This entry was posted in People and tagged bo derek, California Horse Racing Board, CHRB, Del Mar, del mar thoroughbred club, joe harper, john corbett by Del Mar Thoroughbred Club. Bookmark the permalink.